Ike LaRue, a dog of great character, is in very hot water indeed. He has been arrested for suspicion in being involved in the loss of Mrs. Hibbings two cats. Ike's owner is in France for a vacation and so he writes to her - from jail- to ask her to come and rescue him. Unfortunately she does not seem to be very sympathetic to his problem, and Ike realizes that the only way he is going to regain his liberty is if he finds the missing cats himself. So, the intrepid canine breaks out of jail and goes underground. Soon Ike is on the trail of the two cats, gathering information and finding out all sorts of startling information about cats in general, including the fact that they cannot seem to leave birds and other small animals alone. Unfortunately the police are no help at all as they are trying to solve a very puzzling series of bird and small animal thefts which are gripping the city. It is a treat to follow this story through Ike's letters to his owner, and through newspaper articles which appear on the brightly illustrated pages of this funny and unique picture book. 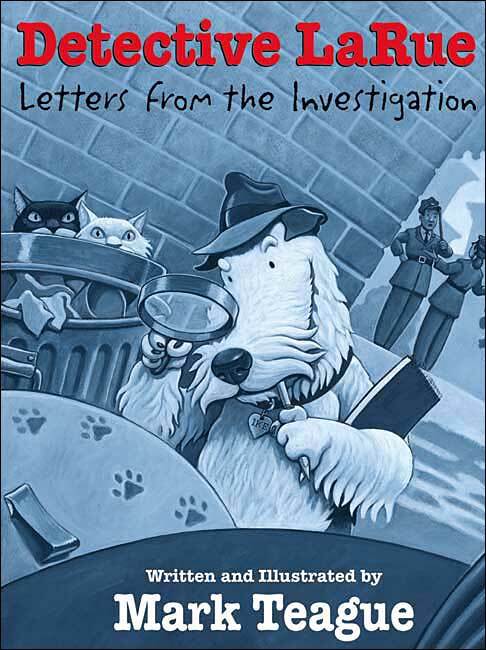 As we turn the pages, we are given hints as to the whereabouts and doings of the missing cats, and we cannot help feeling sorry for Ike who is being plagued by the perfidious felines.